Groupon has a special one day offer today! 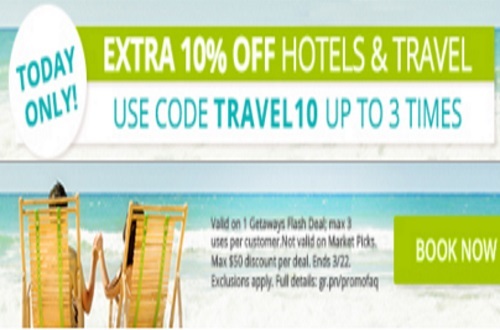 Save an extra 10% off hotels and travel deals! Enter the promo code TRAVEL10 at checkout. Offer is valid Tuesday, March 22, 2016 only. This can be used 3 times per person. Maximum discount is $50.